Are you getting your daily dose of dense nutrition? Are you a “shake” person? Are you a smoothie lover? Exactly 6 years ago I had my wisdom teeth removed. I remember looking online for “smoothie recipes”. I also remember being hopeful that I’d lose weight since I would be unable to eat solid food. I healed fast and ate everything in sight. By the end of January, I was even fatter, even more unhealthy and unhappy with myself and my life. So unhappy that I was drinking heavily and fallen back into recreational drug use. Something needed to change. I NEEDED TO CHANGE! I soon found a person that had been immersed in fitness & gave me hope that someone like me could become like her. She gave me the simple formula to her success & offered me the tools that she had used to behind a fit busy working Mom. Like most people, I tried to cut corners. I didn’t think I was worth the investment 💰 and was uneducated when it came to health, fitness & nutrition. I didn’t understand the value because I didn’t value myself. I finally decided that if I wanted results like her, the only way to get it for myself was to do exactly what she had been doing. I couldn’t opt out of 50% of what she was doing and expect the same results. I remember when I took the plunge. I remember when I got started. I remember when the results started manifesting for themselves. I remember how awesome it felt to hear her, Becky, a stranger cheer me on. I remember when someone who I thought was my friend started publicly passive aggressively bashing me calling what I was doing a “FAD”… 🤣 😂 🙄. It didn’t phase me because I had a huge support network of people who believed in me and didn’t tear me down. That’s when I started to learn how to figure out how to spot a true friend and a good person. I now know that if you can’t clap & cheer for me then you aren’t my friend and if you can’t clap & cheer for others, but do for me, then you’re just pretending. Earlier today I was asked about the shake I started drinking on February 2, 2012. A lot of people are under the impression that it is a diet/weight loss/protein shake. 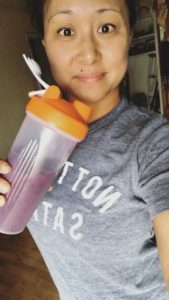 It was not designed with weight loss in mind or to be a meal replacement shake HOWEVER it CAN be used as a meal replacement and can aid in weight loss. It was designed as a nutrition supplement. It was created by our CEO, his wife and Darin Olien with peoples health in mind.. The common diet is full or artificial ingredients and the “food” nowadays are highly processed leaving them totally deficient when it comes to nutrients. Let’s face it, the American diet is terrible. Rarely do any of us eat enough fresh fruits and vegetables; instead, we reach for what’s quick and easy—packaged food and fast food—which have been so overprocessed that they lose a lot of their nutritional value. The reality is, we’re running our bodies on empty. And like a car, we need fuel to go. Good fuel. Not empty-calorie junk. When you start thinking of what you put into your body as fuel, you realize it helps to supplement your daily diet. My shake is packed with some of the world’s most potent, nutritious, and delicious ingredients, it’s one of the quickest and easiest ways to help you eat healthily, stay satisfied, and live a healthy life. The shake was created to fill in the gaps of peoples diets and provide the proper nutrients which combat cravings so you are not a slave to your cravings.. The ingredients in the shake are actual FOOD, dried and ground down into a powder. People consume thousands of calories a day, and find themselves mindlessly eating because they are consuming “empty calories”, foods high in calories with little to no nutritional value, which ingredients lead to overeating and can trigger cravings for sweets. When your body is not getting the proper nutrients, the person will experience strong cravings, which is the body and minds way to forcing you to get the nutrients it’s lacking to function properly (food is fuel). This isn’t a FAD! It’s a LIFESTYLE!! 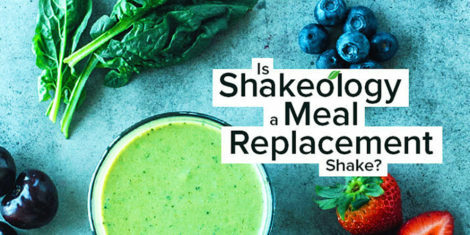 To order a 7-day supply of Shakeology with free workouts and a meal plan to follow, click on this link. To order a vegan sampler pack, click on this link. To order a sampler pack with Chocolate, Vanilla, Strawberry, Greenberry and Cafe Latte, click on this link. To order a 30-day supply with a 30-day money back guarantee at a 25% discount, please contact me by clicking on this link.